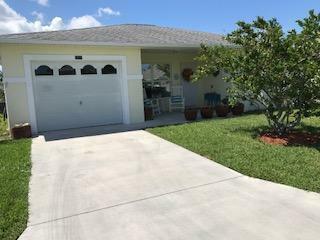 Come to see this beautiful impeccable home.Pet friendly lot, furnished and carefully decorated. Ceiling fans, plantation Shutters. Accordion Hurricane Shutters are scheduled for installation In November.Located at Spanish Lakes Fairways 55+ community with great amenities.